Boxers are the best-conditioned athletes in the world. Their training combines strength, speed, stamina, balance and agility supported by a high degree of mental conditioning. Peter Welch’s Gym members train like boxers morning, afternoon and night. We provide the motivating environment for individuals of all ages and backgrounds to get in the best shape of their lives. You can’t beat the constant challenges and life changing results provided by classes at Peter Welch’s Gym. You Will Be Hooked. Try A Free Intro Class. Try a Free Introductory Class! 15 years ago, Matt Curran was paralyzed from the chest down. Today, you can find him working out at Peter Welch’s Gym, continuing to defy the odds each week. The following video is Matt’s first-hand account of his inspiring journey and how it led him through the doors of this gym. 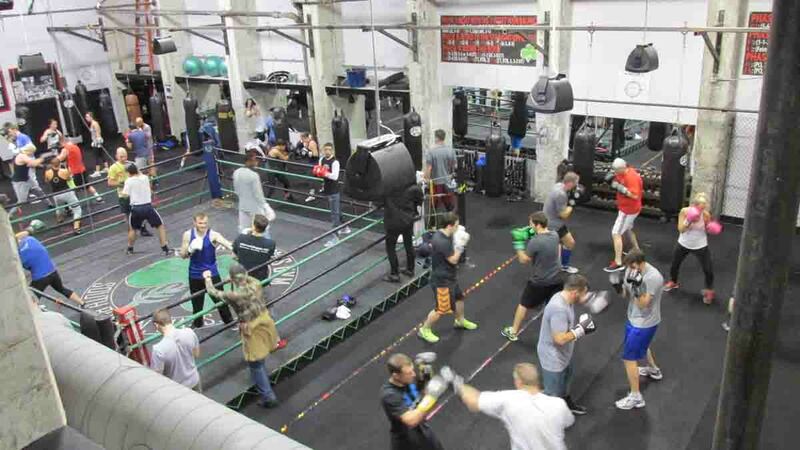 Peter Welch's Gym in Boston, Massachusetts offers Boxing Fitness Workouts and Boxing Instruction Classes for Men, Women and Children Representative Communities Served Include: Allston, Boston, Brighton, Brookline, Cambridge, Dedham, Dorchester, Hyde Park, Quincy, Randolph and West Roxbury.